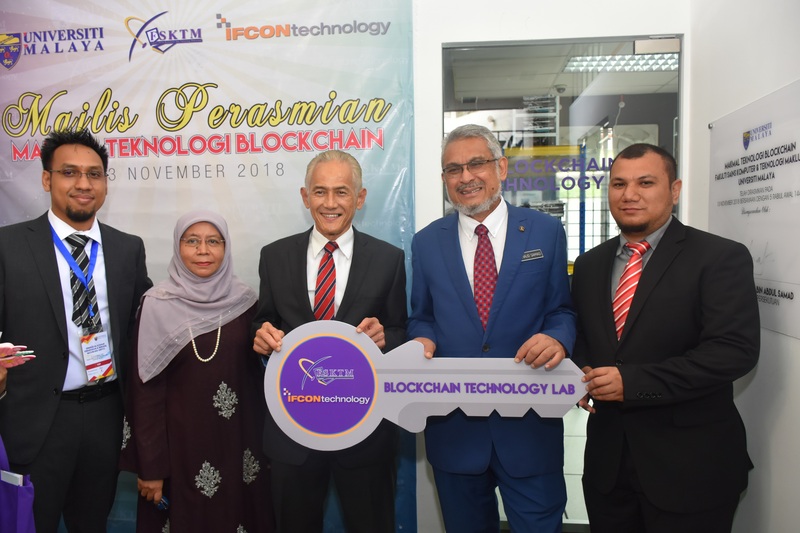 Faculty of Computer Science and Information Technology (FCSIT), University of Malaya (UM) in collaboration with IFCON Technology Sdn Bhd, an IT-based company in Malaysia recently launched the University of Malaya (UM) Blockchain Technology Lab and National Blockchain Seminar. The launch of the seminar and establishment of Blockchain Technology Lab is in line with the UM vision of becoming a world-class institution of higher learning in research, innovation, publication and teaching. On the occasion, YB Tuan Haji Khalid Abd. Samad, the Minister of Federal Territories was present to officiate the launching ceremony, together with Datuk Ir. (Dr.) Abdul Rahim Hj. 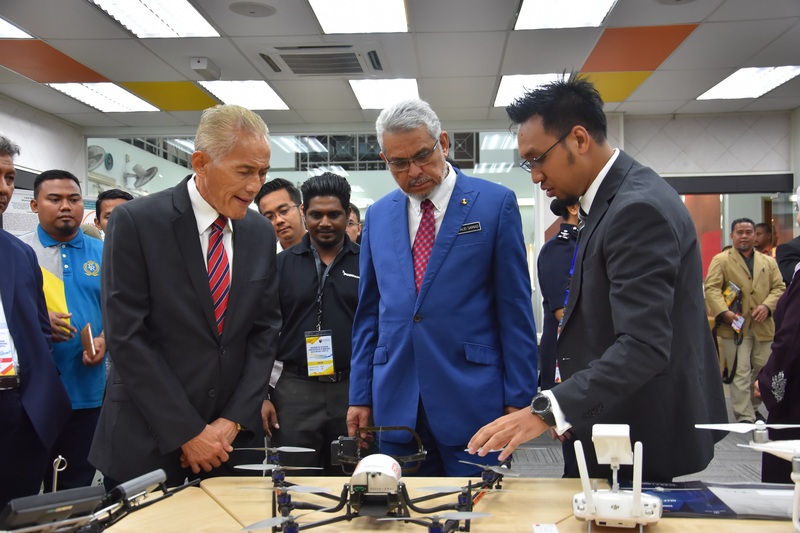 Hashim, UM Vice-Chancellor, Professor Dr. Abrizah Abdullah, Dean of FCSIT, UM and Mr. Ahmad Aliff A.S. Ahmad Shariffuddin, Director of IFCON Technology Sdn. Bhd. The National Blockchain Seminar gathered experts in various fields including IT, engineering, sharia, law and economics to discuss and share knowledge on Blockchain researches. It was also one of its kind as the seminar was conducted in the national language, Bahasa Melayu. The UM Blockchain Technology Laboratory, the first physical laboratory of its kind in Malaysia is a result of a collaborative effort between UM research group led by Dr. Saaidal Razalli Azzuhri, a senior lecturer from Department of Computer System & Technology, FCSIT UM and researchers from IFCON Technology Sdn Bhd, which is founded by Mr. Nik Izwan Kamil dan Mr. Aliff Shariffuddin. The lab provides a platform for researchers to conduct cutting-edge research and build innovative Blockchain-based projects. 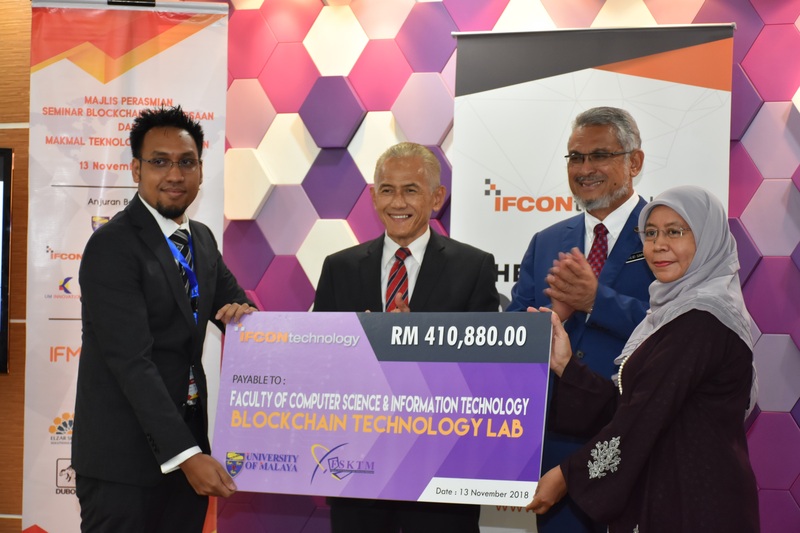 IFCON Technology contributed a total of RM410,880 including funding for the lab in the form of laboratory equipment and research grants, as well as scholarships to PhD students from UM who conduct researches on Blockchain technology.